The Biotic Breakdown – (Pro, Pre, and Antibiotics) – What are Probiotics? This was something that took me awhile to figure out when I was first figuring out natural living. The whole foodies were constantly saying to eat, drink, take, and ferment your probiotics. But it’s hard to ferment it if you don’t know what *it* is. So what are probiotics and how do you get them? The world is made up of good bacteria and bad bacteria. If you have more good bacteria than bad, then the good is winning and you don’t get sick. Probiotics are the good bacteria. But what are prebiotics and antibiotics? And why are probiotics so important. Note on probiotic supplements: Whole foods is better than the supplement, always. If your probiotic makes you sick or nauseous, check the inactive ingredients. There may be some ingredients, such as minerals, that you are not able to digest. Try another brand or, better yet, start making kefir or kombucha! One of the biggest things that probiotics can do is cure allergies, food intolerances, and acid reflux. Probiotics strengthens the lining of your intestines, kills the bad bacteria, and improve your immune system. When you have an allergic reaction to food, your immune system is trying to protect you. An allergic reaction is when your body overproduces an antibody (a very detailed explanation can be found here). This overproduction causes an imbalance in your gut. Probiotics keep that balance in check and prevent & cure a lot of problems. Yes, you can inherit allergies, but you can also nurture, protect, and strengthen your gut to overcome it! My adopted son was born violently allergic to everything. Even lotion with soy would make him violently sick and he couldn’t breath within 15 minutes of application. When he came home at 1 month old, he was on a prescription formula that was 57% corn syrup and 4 medicines he took daily (2 otc, 2 prescription). 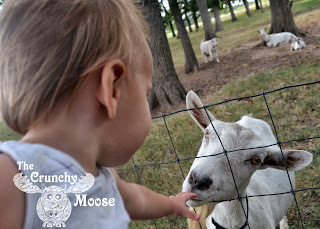 I switched him to raw goat’s milk (full of probiotics!) and he was off all meds within 1 week! I also give him supplements that include cod liver oil and probiotics. Repeated use of antibiotics results in antibiotic resistance. Yep, the antibiotics quit working. The bacteria becomes immune to them. The antibiotics also cause a lot of damage to the good bacteria in your system since it kills those, too. The good bacteria is what keeps you healthy, so if you kill those, your immune system is compromised, allowing bad bacteria to take over, resulting in you taking more antibiotics….. It’s a vicious cycle. Don’t start! Do you, your kids, or someone you know always seem to be on antibiotics? It’s the antibiotic resistance working. Instead of reaching for the antibiotics, go for probiotics! Fight the bad bacteria by taking more good bacteria. For more information, check out 5 ways to heal your gut after antibiotics from Natural Family Today. Want to Learn How To Ferment Food? Then this is your book! Everything you need to know to ferment just about everything in your kitchen. Read my full review here or go straight to checkout here. Thank you for your very well written explanation of Pre, Pro and Antibiotics! Blessings! Do you have info on giving newborns probiotics (the supplement kind-not natural) I bought a jar at whole foods to give to our baby once it is born. But since it is derived from milk do you think it could cause/create an allergy? My thoughts in buying it was to help this baby hopefully not have any bouts of colic, by providing its gut with as much good flora as possible. Any thoughts would be hugely appreciated!!! Hi Michelle, Great questions! Are you planning on breastfeeding? Breast milk has probiotics already! So an extra supplement isn’t needed. 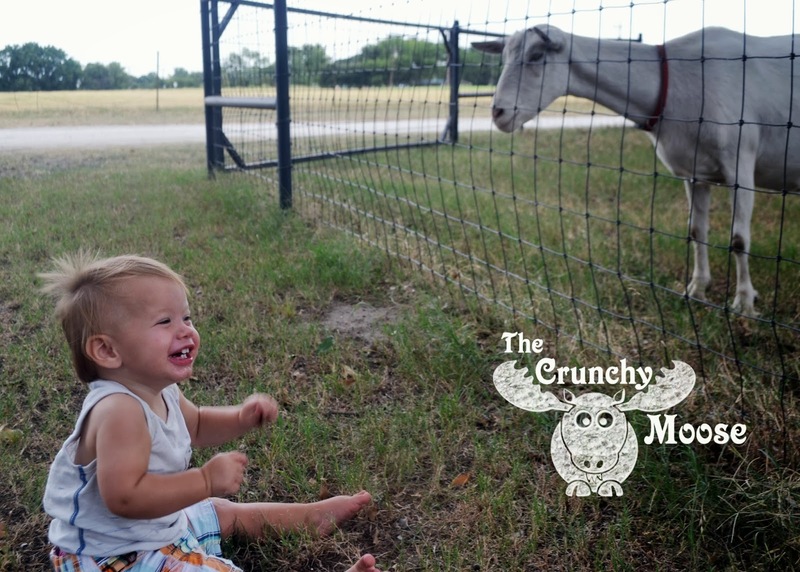 I used raw goat’s milk (my son is adopted, so no bf), and raw milk also has probiotics. I started giving him a probiotic supplement when he was about 6 months and eating solid foods & drinking less milk. He was allergic to cow dairy (he’s looking like he outgrew the allergy), so I went with a dairy free supplement. If I was breastfeeding, I would hold on to the probiotics and if there are any signs of colic or reflux, then I would try the probiotics. But I would get one with the least amount of allergens possible (but that’s coming from a mom with a baby that was allergic to EVERYTHING). Good luck! Great information! Thanks so much for putting this together. Thanks so much for the kindness! My 1.5 year old daughter has major digestion issues, especially to dairy and lactose. Any recommendations on what kind of probiotics I should try for her? I don’t want anything with any dairy or lactose, and preferably would like something that is affordable. Thanks so much for this information and making it easy to understand. Hi Shannon! I used this one with my son http://amzn.to/1e6hLaN He started taking it when he was about 4 or 5 months old, so it’s safe for your 1.5 year old. It is raw, vegetarian, non-dairy, and gluten free. It’s a powder that you can mix with any liquid. That jar lasts about 6 weeks. 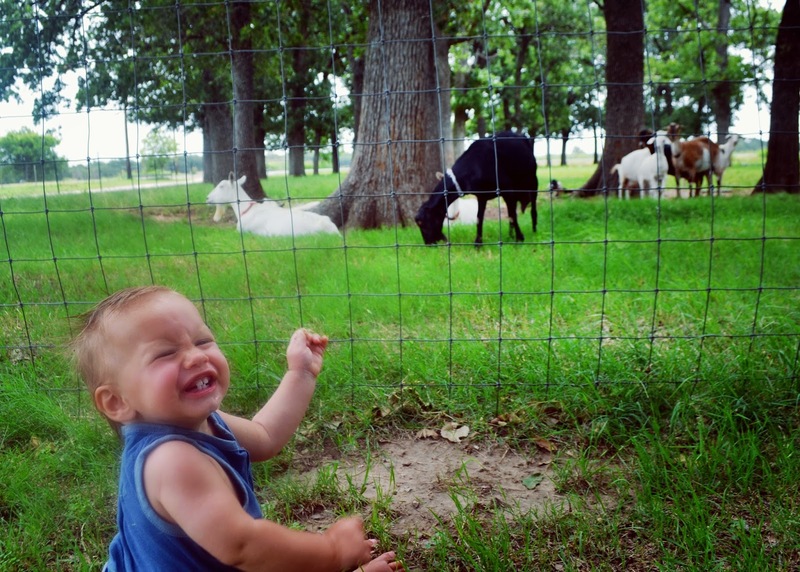 My son was born allergic to everything, including dairy. 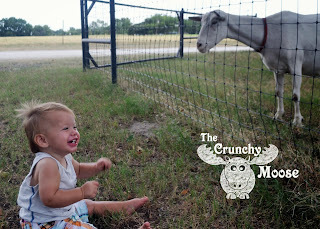 I gave him goats milk, this probiotic, and this cod liver oil http://bit.ly/OMFvoA. He is now 21 months old and has zero allergies. I think the probiotics can help heal your daughters gut, too. Thank you Ashlee! Really enjoy your blog. Keep up the great work! Hi! Great explanation. I have been struggling with acne for a year. I’m 32 years old and never had acne problems till now. I have tried antibiotics, creams, acne treatments, lotions, prescribed and over the counter but NOTHING Seems to help me. I am getting better but still breaking out. I get sick easily. Lately ever 2 month I have been getting cold and strep throat lately. Reading about probiotics makes me wonder if I could possible benefit from them as supplements to help me with my skin since I think I pretty much consume those healthy foods but maybe not in sufficient amounts. Do you know of any specific supplements I can buy otc? Would really appreciate it since I’m getting very desperate and don’t know what else to try. Hi Brenda – Here is a list of my personal favorite supplements. https://thecrunchymoose.com/favorite-supplements/. I hope that helps! Hello! I see you’re in Texas! What part.. I’m trying to find a natural path for my son! Hi Kristna – I’m in Denton, north of Dallas.